Persons with scrap and gun walking near windows for getting into house. Least safe place. Shadows. Flashlight. Night time. Lifestyle. 4k00:18Bandit picking lock. Two shadows of thieves coming into flat. Balcony. Drapes. Indoors. Without faces. Night. Darkness. 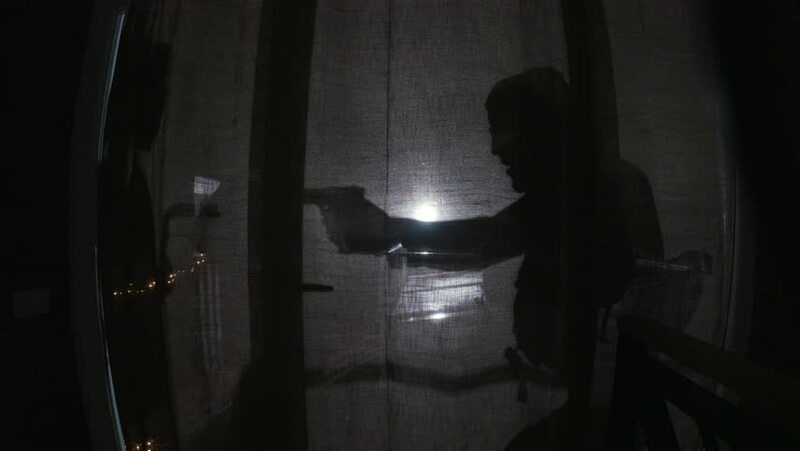 4k00:15Shadows of two persons with gun and scrap. Dangerous criminals getting into apartment for commit crime. Darkness. Night. hd00:16A man in army fatigues stands and leans on his rifle. hd00:201970s: Low angle view, girl walks into room. Girl picks up sleeping cat. Girl walks with cat. Girl puts cat on scale. Close up of cat. hd00:08Man in yellow hazmat outfit taking things for laboratory. Two chemists spending time in abandoned factory. Indoors. hd00:13Man holding hands on wheel driving along the country road into the sunset. Profile of handsome guy driving his car at sunset sky in the evening. Slow motion, close-up. hd00:11Young Slavic scientists in yellow and white hazmat suits. Caucasian guy wearing white protective suit doing experiment. Indoors. hd00:14Young Caucasian men standing near each other with arms folded. Guy in yellow hazmat suit and gas mask jumping. Dab. Indoors. hd00:23Happy and funny scientists celebrating final of work. Guys in yellow and white hazmat suits dancing weirdly. Indoors. Abandoned factory. hd00:14Two happy scientists dancing in old abandoned building after important work. 4k00:17Portrait of young man in virtual reality headset. Scientists. Computer graphics, 3D, programming, technology. Virtual reality headset. Close-up.